The month is October, the year AD79, the place Ostia, near Rome. Flavia Gemina the sea captain’s daughter is at home with her friends Jonathan, Lupus and Nubia when the arrival of a ragged man shocks them all. To her horror, Flavia learns that her family is in danger of losing everything they own. 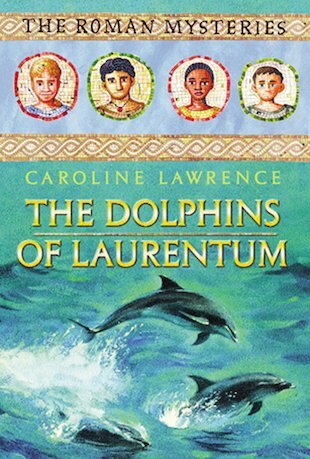 Events take the children to an opulent seaside villa at Laurentum, a few miles south of Ostia. When they discover a sunken wreck full of treasure, it seems to be the answer to all their problems. But someone else is after the treasure, too. As they try to recover it, they solve the terrible mystery of Lupus’s past. An exciting adventure that tells you just what it was like to live in Ancient Rome. This book is mainly about Lupus and his life history. There was plenty of adventure and lots of action- a definite five out of five from me!